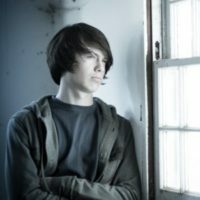 Does your teen seem completely unmotivated? For parents of teens, the refrains of, “Whatever,” and “I don’t care,” can become all too familiar. In this interview, Josh Shipp explains where your child’s motivation really lies—and how you can tap into it. EP: Josh, what should parents do when their child seems to be unmotivated? JS: I think that most—if not all—kids have drive, but I think there has to be a reason for the drive. What most kids need is a “why.” Eric Chester calls teens “Generation Why” because they always want to know, “Why am I doing this? Why is this history project important to me?” And the answer from you can’t be, “Because I told you so.” The answer can’t even necessarily be “because this is your school work.” There has to be something within your child that pushes him past the inconveniences, the shortcomings, and the hiccups that will, without question, arise when he undertakes something that’s challenging. So it’s important for kids to understand why they want to do something, not just that they have to do it. If you’re the parent of a teen, you know how much they like to debate and question things. Sometimes that’s a pain, but I think it’s actually okay to a point. Here’s something I’ve come to understand from personal experience as a teen. When they finally understand how something benefits them, they will do it long term. If the reason your child does something is only because it’s important to you, that is short term motivation and that will end. The reason also needs to be important to your child, not just important to you. If your daughter is making good grades only because she wants to make you happy, eventually that’s probably going to stop. She needs to have a personal reason WHY. Her personal reason can be that when you do a good job at something difficult, you have a sense of accomplishment. Feeling a sense of accomplishment is worth the effort it takes to experience it. Here’s an example from my own life. I’m part of a running group that meets every morning. Do I want to get up at 5 a.m. and run? Heck No! Why do I do it? Other people depend on me to be there. Something is motivating me to get out of bed. I think there’s a sense of accountability that we as human beings have; our default nature is that we will disappoint ourselves before we disappoint others. If it was just me, I assure you that I would hit the snooze button seven out of ten times. But instead I think, “I promised Steve I would be there; he’ll give me a hard time if I don’t show up.” And secondly, it makes me feel good. Most people don’t drive to the gym and then stay in the parking lot—the issue is that they never get in the car. Once you do something you have a sense of accomplishment; you feel good about it and it’s worth it. It’s just the getting started part that’s the pain. EP: So what’s a good way to explain what the “WHY” is and how your child is going to benefit from it? I also tell teens that the issue isn’t the piece of paper—the document that says “I graduated from Central High School.” The issue is that no company wants to hire a quitter. And if you drop out or stop doing the work, you are categorizing yourself as a quitter. It’s just not worth it. EP: OK, that makes sense. So what should you say if your child says that they hate math or they’re not good at chemistry? How do you motivate them then? JS: I think it’s okay for your kid to say, “I hate history. I’m not good at this.” Those are fine things to express. And you don’t need to say, “No you don’t.” After all, maybe they don’t like history. We all have subjects that we gravitate towards a little more. That’s not what you need to focus on. What you DO need to focus on is “I understand that you don’t like it, but how can you succeed at this?” Maybe that means your child doesn’t make an “A” in history, but he needs to at least do his best so he can graduate. EP: Josh, what about kids who come across as lazy or unmotivated but really it’s a self-esteem issue. Some kids worry a lot and just don’t feel like they can do it. JS: This is a very good point. I think there’s a lot of pressure on kids, and many of them tell me that they get anxious or feel overwhelmed with everything they have to do. I think, to a certain degree, kids are not allowed to be kids these days. They need to be college ready and fluent in eight different languages by the time they’re four years old. Sometimes kids really are overscheduled. It’s pretty realistic that they would feel overwhelmed in that case. I think it’s important for you to help your child make positive goals and then make sure the things that he or she is saying yes or no to match up with that. Frankly, I think a lot of us (myself included) need to make “To Don’t” lists. We make so many “To Do” lists in our lives, but sometimes they’re just entirely too lengthy. I think we need to commit to not doing some things. It’s freeing for kids to sit down and write out the things they don’t need to do in their lives, and it also helps them narrow down what they need to focus on. EP: Josh, what about procrastination? Do teens put things off because they’re anxious about not being able to do something? JS: I think the issue here is that we often look at step ten, but we don’t see step one. We think, “I have this big project due by next week”—but that’s step ten. How do you get there? You’ve got to do steps one through nine. There’s a famous story about a woman who had to write a book report about a hundred birds. How did she do that? Bird by bird. If your child is feeling overwhelmed, what I don’t suggest you do is relieve them of the things they have committed to by doing any of those things for them. Don’t say, “You’ve got five things to do, let me do one of them for you.” When you do that, you’re handicapping your kid. You’re essentially letting them give up without letting them experience the guilt. And believe me, your child needs to experience that guilt and disappointment if he gives up. What you can do is help him break it down. Lots of kids are visual, so you can say something like, “All right, these are the four things you have to do this week, let’s write these four things down. Let’s look at your time. It looks like Tuesday would probably be the best day for you to do this. Does that sound good? You could do it Thursday afternoon after practice.” Just help them break it down. Most kids lack a game plan. So this monster that’s actually quite small and which your child could probably slay easily becomes an enormous beast in his mind. He starts thinking, “Oh my gosh, there’s no way I can do this.” And so instead of actually doing his work or getting stuff done, your teen sits around agonizing about it. And then the deadline looms more and then he gets more and more freaked out. My advice is, don’t handicap your kids by doing things for them; empower them by helping them develop a plan for how to do it themselves. EP: That makes a lot of sense. But what about kids who need help getting started? Would you recommend giving them help in the beginning of a project? JS: I think that’s fine. What I would want to see, though, is my child asking for my help—not me shoving it upon him. I think it’s important to talk to kids about how they can creatively ask for help. Your child could run his project by a friend who’s doing one of his own. He could go on the Internet and look for ideas. He could ask you what you think about his project and how he’s planning to go about doing it. I want to see kids learning things here, like how to ask for help and use the resources that they have. I have no problem with a parent helping, but I think it’s important for your child to learn how to ask for that help. And I would say, “I have no problem helping you out. I’m not going to do it for you, but let me know specifically what you would like help on.” This is how you can relieve pressure without doing it for your child. So let’s say your son says, “Hey, I’m really having a hard time finding this research book, Dad. Could you try to hunt it down on Amazon or see if the bookstore has it or something?” I think you could say, “I’m happy to do that. I know that would help you out; I’ll do that so you don’t have to run across town.” So making a plan, reading it over, giving feedback, critiquing their work—totally fine in my opinion. Again, you’re helping but you’re not doing the work for them. I’ve met too many 17 year-olds who are still being babied. They need to get up off the couch and do it themselves, because if they don’t, then they’re 19 and they go to college and they wonder why things are falling apart. So we have to be careful as parents. I think you have to ask yourself, “Am I helping my kid to actually help my kid or am I helping my kid for my own ego?” This is a question I love because it’s sort of a punch in the gut. So, is it that I don’t want to have the kid that gets an “F” on his book report? Is it that I don’t want to look like an idiot or be embarrassed? Or is it that you want to help your child learn something? EP: So how do you motivate a child who has a self-esteem issue? Sometimes the key is just knowing that someone else was able to achieve what you want to achieve. Back in the ’50’s, no one had ever run a four minute mile. A lot of people tried it and then finally Roger Bannister ran it in 3:59. Then a month later, four other people did it, and that’s because they were inspired. Someone proved to them that it was possible. Encourage your kids not to study their heroes’ end results, but their heroes’ first steps. By the time someone becomes your kid’s hero, they’re on step eight, nine or ten. So read about them, look online. What were their first steps, how many times did they go bankrupt? How many times did Michael Jordan get kicked off his high school basketball team? How many times did the publisher say no, we don’t like your book? Study the first steps, not the end results. I think these sorts of things provide for better motivation than trying to come up with the perfect sentence or the exact right thing to say to your child to get them to do what you want them to do. EP: Josh, you tell parents that it’s not effective to lecture children and teens. What should you do or say? It’s not effective to nag your kids. If you’ve taken on that role, understand that any time a project approaches, your child is going to assume by default that you are not there as a supporter, but as a nag and a nuisance. Let’s face it, all of us want to quit things sometimes. We think to ourselves, “This is really hard. I don’t know if I can do it.” But how would you feel if every time you were working on something difficult, a friend walked into the room and said, “Hey, you’re not finished yet? What’s holding you up? You should be done by now. I don’t think you’re doing it the right way.” You’d just tune him out. And you really don’t want to become that person to your child. As I said in the last article, we don’t want our kids to give up and quit when they face challenges. But we don’t want to label them as “quitters” either. Focus on the behavior, and don’t tag them with that label. And try to avoid calling them lazy, because chances are that they’re not lazy with everything. Instead, I think it’s better to ask pointed questions that bring your child to a specific solution. EP: What kinds of questions work best, in your opinion? It’s also good to get your kids to see things long term. I don’t mean to lecture them, but to just make sure they have an incentive. Again, this goes back to talking to your kids about doing what you have to do so you can do what you want to do. I think it’s good to ask your child what tools he needs to succeed. I’ve found in my own life that there are certain days when I’m just “on”—days when I have lots of ideas and feel motivated. When I look back on those days, I find patterns: I have time to exercise, some time to myself, and time with my family and friends. The bottom line is that you should look back at a time where you succeeded and then try to duplicate that environment. Sit down and talk with your child about his best environment and the tools he needs to succeed. When I speak with kids, I always tell them, “Put yourself in a position to win.” Maybe it helps your child to get up every 20 minutes and take a short break, then go back to work. That can often be a useful technique because then he’s not feeling like, “Oh, I’m going to be sitting here for eight hours straight studying.” So encourage your child to give himself rewards if that’s what he needs. Again, you’re helping him without doing it for him. I think the best thing that you can do is be involved in your kid’s life, know what’s going on—and then help him make a plan to reach his goals. If he has a plan, then the goal doesn’t seem like this big, scary beast, and he’s going at it one step at a time. EP: What if you see your child starting to slack off a little on a project and you start to worry that he’s not going to finish on time. Is there anything you should step in and do at that point? JS: I think it’s best to let teens figure it out for themselves unless there’s a fire. As a parent, you obviously need to put out fires, but if it’s just a short-term inconvenience I believe they need to figure it out for themselves. If your child doesn’t hand in his project on time and gets a bad grade, that’s a natural consequence. Certainly, there should be guidelines and rules at home around expectations and responsibilities. But if your child doesn’t complete his work, he needs to experience the consequences of that lack of follow-through himself. EP: Josh, a lot of parents say that their kids play video games all the time and avoid doing work. What would you say about that? JS: I think you can use video gaming to your advantage as a parent. Frankly, I believe video games in moderation can be a good thing. They teach kids critical thinking skills, how to respond quickly and make decisions. I think you can say, “I know you have this big project due and you’re stressed out. Maybe we can set up a plan where you work on this for an hour, then you get 20 minutes to ease your mind, have a little fun, and play some video games. Then you get back to work. We’ll try it for a while and see if it works.” The bottom line is, I think you should use whatever works the best—and use the things your child enjoys to motivate your child. Remember, discouragement arrives before defeat. That’s why one of the most important things you can do for your kid as they’re trying to do these things is just encourage them. When people stay discouraged, defeat is inevitable. It’s all about your mental fitness. EP: Some kids bite off more than they can chew and end up doing too many activities. Is it OK to let your child quit a few things if they’re feeling stressed and overwhelmed? JS: Often in high school, the activities are cyclical. If my child signed up for too many activities, I personally wouldn’t want him to quit the team—I would want him to stick it out and then not sign up again. Once you allow the idea of quitting to enter into your child’s mind as an option or possibility, it becomes dangerous. I’d rather be on the offense as a parent. Before your child is signing up for activities, sit down with him and look at what he has on his plate. I can understand why parents might want to say, “Maybe you should drop out of a few things” when they see their kid feeling overwhelmed. In an effort to relieve some pressure, parents might say, “Well maybe you should quit the softball team.” But I think its better to not join these activites in the first place. See if there is a way to encourage your child to finish out his commitments if at all possible. I see this a lot with teens. They will overbook themselves with friends. They’ll say, “Let’s hang out this weekend,” but they only keep the appointment until someone better comes along. I think it’s important to live by the following guideline: “My word and my commitment should be my word and my commitment regardless of whether or not it’s convenient for me.” So on the surface, something like quitting the softball team doesn’t seem to be a big deal. But you want your child to have the goal of following through on their commitments. If your child has really overbooked herself and signed up for the school play, the basketball team and yearbook committee, she is probably doing too much. Try to problem solve with her on how to fulfill all those commitments. It might be a tough six months—and it’s going to teach her a lesson. Here’s a good rule of thumb: Begin with the end in mind. Tell your child before she signs up for things to think about what it will do for her semester or for her school year. Remember, you’re always saying “no” to something. If you say “yes” to too many activities, you’re saying “no” to time with your friends, time with your family, and time for yourself. And this is a big thing with teenagers because they don’t want to upset anybody. Even teens who are a little bit insecure usually don’t want to rock the boat. So they over-commit themselves. I think it’s fine for them to choose not to do activities. I don’t care if they say no, but I do care if they give up. EP: Josh, some kids give up easily because they feel that everyone else is better—that they’ll never be the best. I think sometimes kids give up because they feel like other kids are better at something than they are. What would you say to them? JS: What I always tell kids is that it isn’t about who’s the best, it’s about who works the hardest and who’s the most dedicated. When I spoke at Harvard University, kids came up to me afterward and talked about how challenging it was to come to Harvard. They were the smartest kid in their school, but now they’ve come to a place where everyone is the smartest kid in school. I think you need to be careful about complimenting your child and simply saying things like “You’re so smart,” because it’s a relative term. It’s much better to encourage and compliment them on how hard they worked—ultimately, that’s what matters. It’s not, “Do you have good ideas?” It’s “Will you do something with your ideas?” Remember, there are a lot of people who are smart or athletic or musically talented, but all they do is sit around and think about it. It’s really not about intelligence or even natural talent. It’s about applying those things in your life. Another thing I would say to kids is, “It’s not how talented you are that matters, it’s how dedicated you are that counts.” Everybody is talented in some way. Most people are smart. So what? But if you’re dedicated and smart, you can you can do amazing things.